50,000 Words in a Month? It’s that time of year where writers of all types are put to the ultimate challenge. That’s right, it’s National Novel Writing Month. Typically, each month tends to have a theme unique to them and November just so happens to be one for writers. 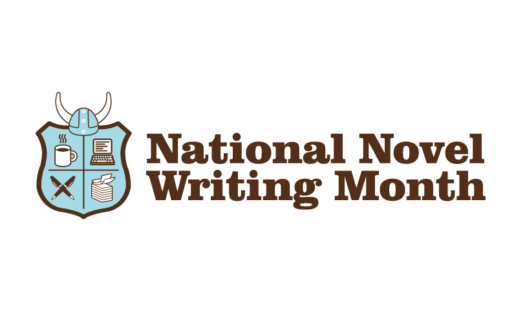 National Novel Writing Month, or NaNoWriMo for short, is where writers are challenged to write a novel with a 50,000 word count in a month. The challenge begins right on November 1st and continues on until the 30th or when the novel is complete. During this challenge, one of the best ways to stay inspired is by visiting the NaNoWriMo website (nanowrimo.org) and viewing the entire list of rules and guidelines to follow when working on your novel. The NaNoWriMo website is the best support system throughout the month, and assists writers trying to complete their novels by providing a system that gives feedback and pep talks through other writers and a badge system to track progress and accomplishments, ultimately helping writers reach their goal of 50,000 words. Once the novel is complete, the writer “wins” the challenge. However, not only does the writer simply win the satisfaction of having completed a full-length novel, but also a handful of prizes that generous sponsors offer to the winners. These prizes include special deals on writing programs and more as a way of helping the aspiring authors of the future. Of course, this is just one way that writers can seek inspiration from encouragement from those in the same community. Writer’s block can often be a major challenge for writers, and can sometimes get to the point where it can be difficult to get though alone. NaNoWriMo can do more than help writers to just get straight to the point and start that novel they’ve been planning to write for so long. NaNoWriMo also helps writers communicate with each other and work together to overcome not only writer’s block, but themselves as well. NaNoWriMo isn’t just for the month of November – it’s simply a challenge that’s mostly dedicated to the fall month. In fact, any writer can become an author by challenging themselves in the same way that NaNoWriMo does. Thanks to nanowrimo.org, many writers are able to accomplish the ultimate goal of the month’s challenge: to do what they didn’t believe was possible from themselves.